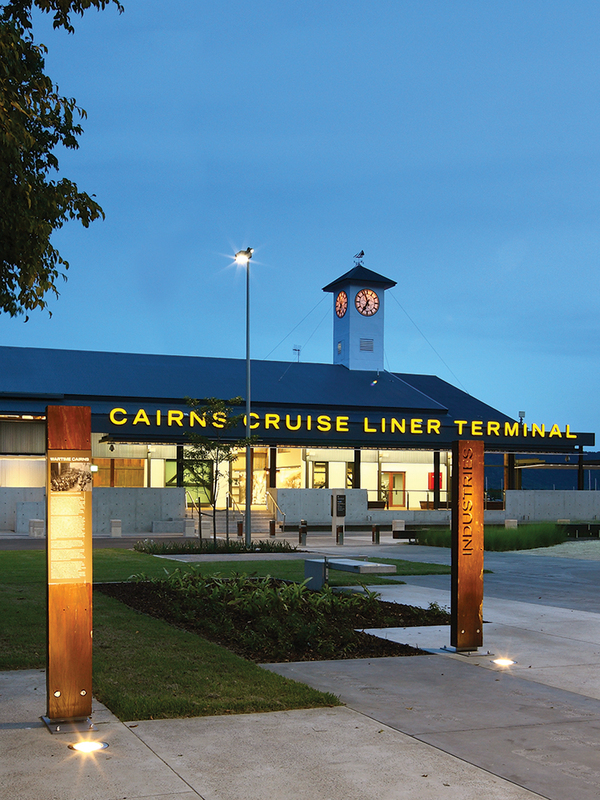 The Cairns Cruise Liner Terminal is Cairns' newest and most impressive function, event and exhibition space. As you enter through the original timber doors, step back in time and experience the history and magnificent workmanship of this stunning venue. Originally a working wharf, the building has been beautifully restored and transformed into a state-of-the-art facility offering a 'Full' or 'Half' Terminal option for your function, event or exhibition. A small set of steps from ground level welcomes you to the Breezeway with views over the Trinity Inlet. A covered venue opening onto the open-air 'Wharf Deck' and adjoining the 'Terminal'. The Breezeway sets a magical pre-dinner cocktail scene, Wedding reception or space for a lunch with the best views in Cairns. Built over 100 years ago, this is the original Cairns 'Waterfront Venue'! Champagne in hand, watch the sun go down in the cool afternoon shade with views across the spectacular Trinity Inlet to the surrounding mountains. First impressions count! A fully covered space with direct access to coach/taxi arrivals areas, the 'Front Deck' is the perfect space to start your event! Welcome your guests with pre function drinks, music or live entertainment before entering the Terminal. Cairns is best known for its outdoor attractions and activities, events now enjoy the same luxury! The Gardens feature an open design and pathways lined with historical markings forming a subtle structure for your outdoor 'festival' event or pockets of local artwork for moments of contemplation. Happy staff and entertainers make for a brilliant event! The venue has 3 'Green Rooms' all with air-conditioning and of varying sizes to ensure your guests aren't the only people having fun!